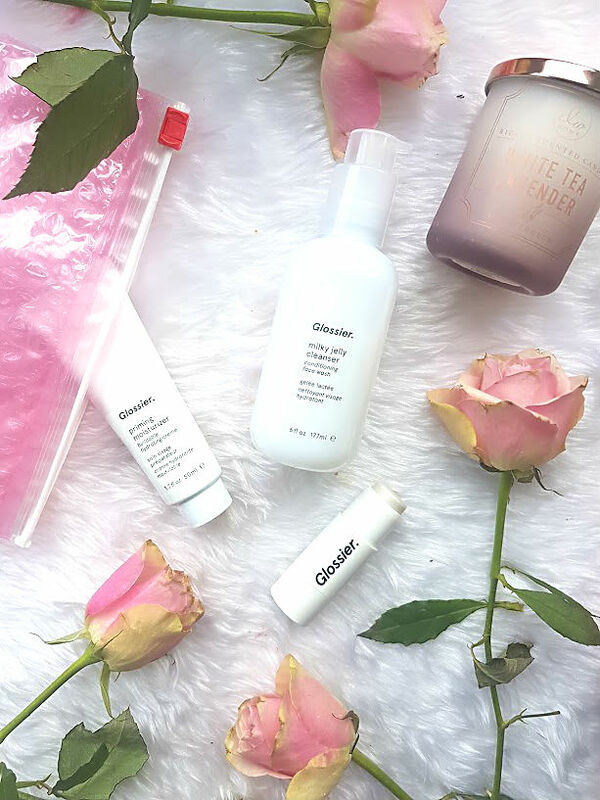 This week is very exciting indeed, the infamous brand Glossier have officially launched in the UK. 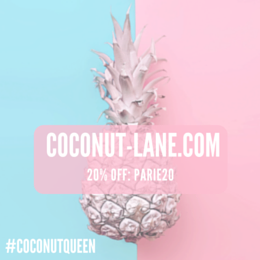 They have very well known in the beauty industry and throughout the US as a brand that takes everything so seriously yet keeps things pretty basic. A few months back, they had a pop up shop in London, where you were able to browse what was coming but not buy (pretty pointless in my opinion). I wasn't able to go as it was all pretty last minute, but I forwarded the invite to Nishi, who was ready with a shopping list in case you could buy anything. She then sent me a link, a few weeks after saying that they were going to gift those who did attend, which is very kind of her! 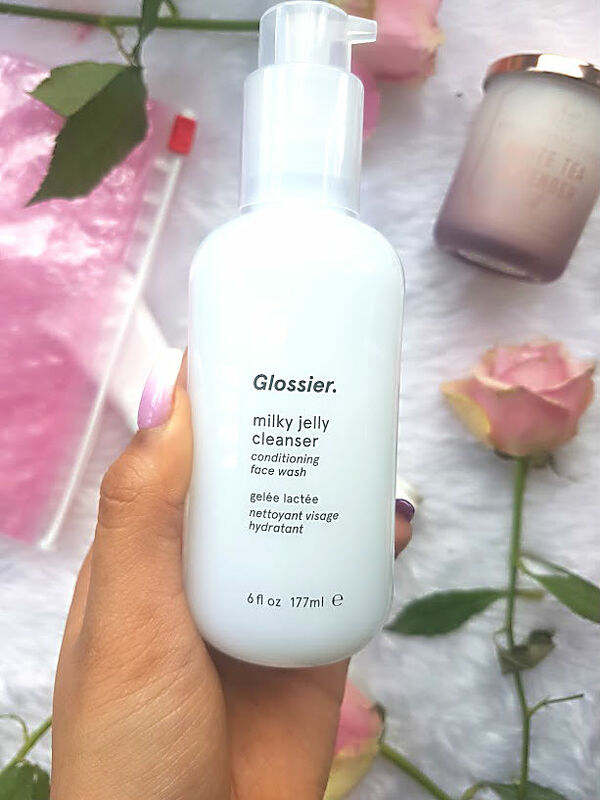 I wasn't really expecting anything, but in the post came this glorious Glossier package! They were very kind enough to send three products, which I presume are very well loved by Glossier fans. This is similar to the Phase 1 Set that they offer, but minus the balm dot com, and a haloscope instead. I have been put this to the test a couple of times and thought it was about time to share what I thought. This is definitely one product from them, that gets a lot of attention. The MJ cleanser is apparently the 'ultimate face wash that can dissolve makeup and grime'. For me this is more of a second cleanser in your routine or a great morning face wash. 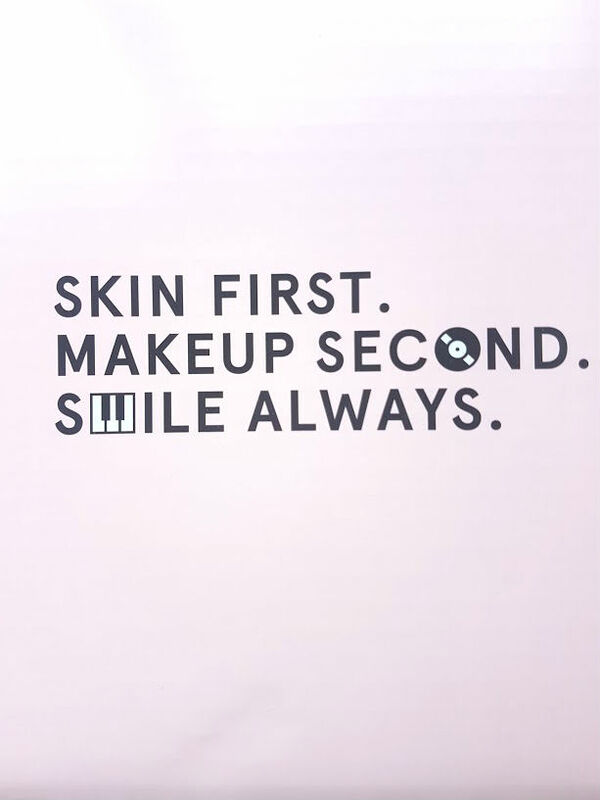 It doesn't do the best job at removing makeup but it does clean your skin. 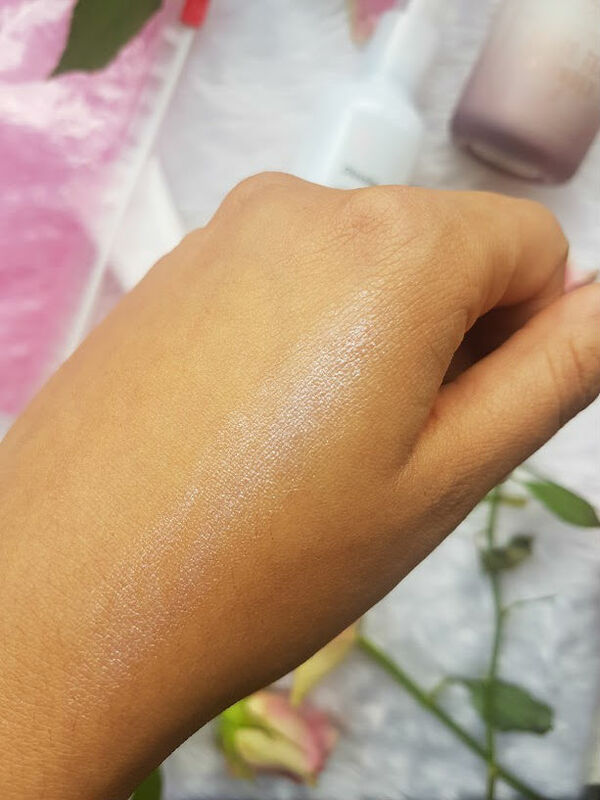 The lovely, creamy gel formula is so soft on the skin and it really does feel just like you are using milk. It is worth noting that after using this your skin will feel amazing, the different moisturising products that is used in this, combine together to make your skin feel really soft and if you suffer from any form of dry skin then this is amazing at helping that. Scent wise, it is a mixture between being chemically and rose, but more on the rose side. I have been using this every morning to wake me up and wash my face in the morning, as I slowly start to develop a morning skincare routine, this is the perfect addition. 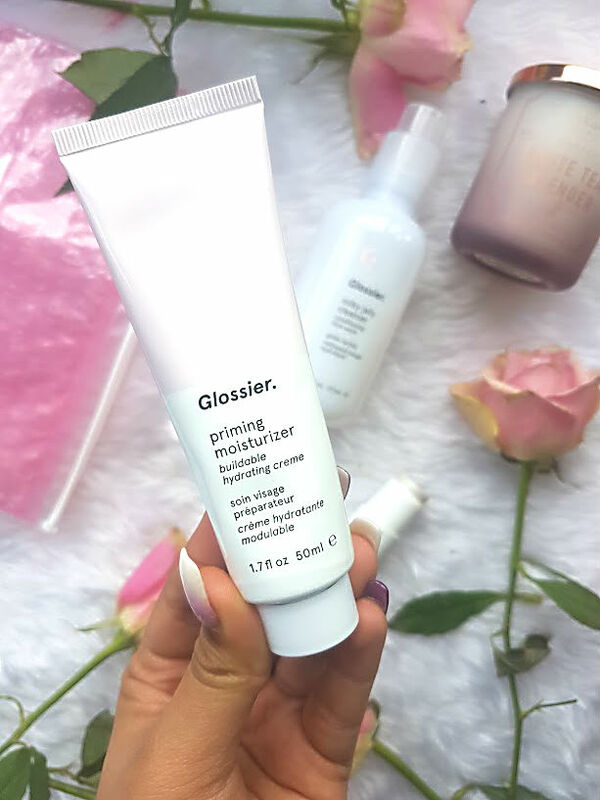 I am a loyal user of a pore minimising primer from The Body Shop, but lately I have gone the opposite way and fallen in love with other primers. This essentially, is a moisturiser with priming qualities. When applied on the skin, it feels so hydrating and nourishing that I can feel my skin liking it (if this is possible). It helps with smoothing out texture that I have and ever so slightly minimise the appearance of pores, it doesn't do the best job at blurring them out but they look better. I love that it hides any redness and my skin looks and feels plump. I have tried this with a heavy duty matte foundation (fenty beauty - more coming soon) and a lightweight (rimmel lasting finish). Both of these sit on top of this really well and my skin loves it. Does it keep my oil t-zone matte? Not really, but I can survive 6 hours before I have to blot or touch up on powder. I have seen this little wonder all over instagram, the Haloscope is a dewy highlighter than has two parts, the inner part is filled with a oil that is rich in vitamins to keep the skin hydrated and the outer is the actual highlighter that gives you the glow of all glows. I went straight in with this the first time I used it and didn't really work with it, but then after than I seem to have it nailed.The best way to apply is to draw a line where you want to highlight and then lightly tap to blend but not blend in. It is quite sheer but still sparkles upon hitting the light, how it does this I have no idea but I am obsessed and need them all. These form the perfect base under powder highlighter and look amazing on their own too. I do not have one bad word to say about this gem, other than I want more!!! I also had to include the box, it came with the quote above written inside and some cute stickers too. 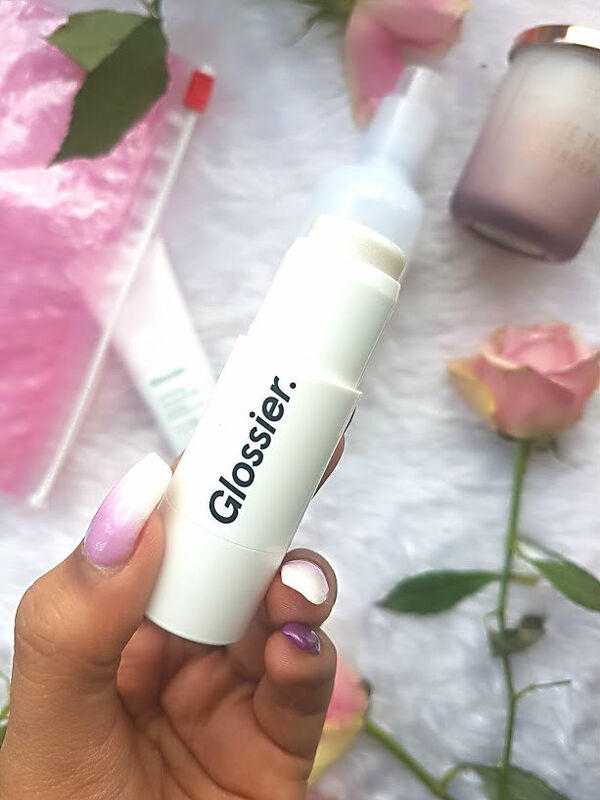 So far, Glossier has a big thumbs up from me. I love what I have tried and it has me itching to try more but I need to slow down! The next things I want to get my hands on are the powder duo they have just released, boy brow and the serums. I love the sound of all three serums and really want to get them next! 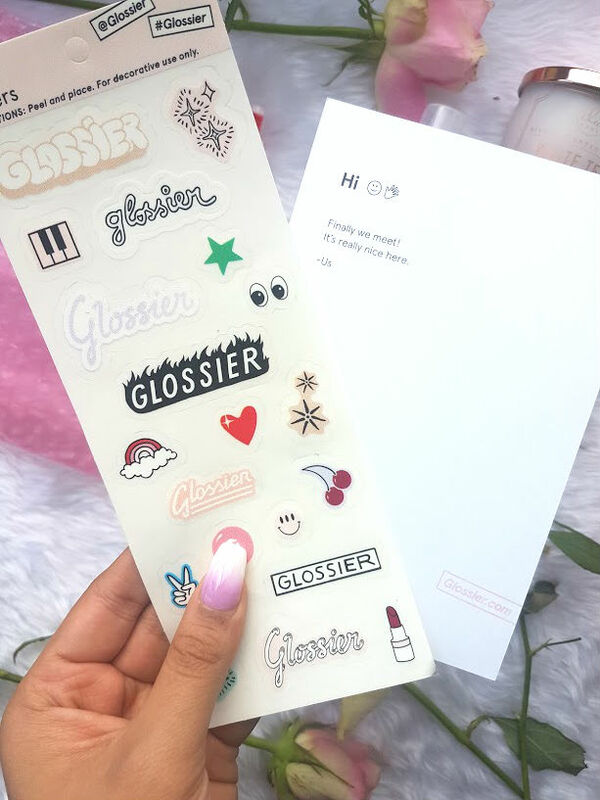 Do you love anything from Glossier/ do you want to love something?